If you are in the Dundee area and are organising some sort of special event or occasion, get in touch with us here at Hog Roast Dundee and let us take care of the often stressful, time consuming catering aspect for you. We have experience in catering for Dundee events of all kinds including weddings, business events and parties. It doesn’t matter what kind of event you have in mind, we are sure that we here at Hog Roast Dundee have something suitable for you and your guests. 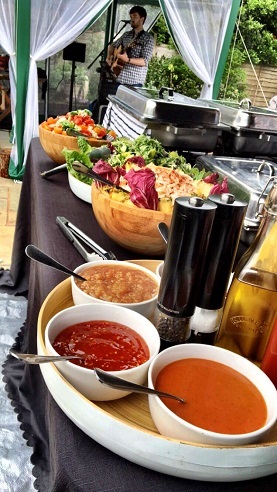 We pride ourselves on being able to take care of the food for your special day so that you too, along with your guests can have fun, kick back, and enjoy the event. There are so many variable factors when it comes to event planning. Some people want a laid back, casual theme whilst others prefer something more formal. In the same light some people prefer to offer their guests a range of side options along with their spit roasted meat whilst others prefer to keep it simple with delicious hog roast sandwiches. Simply let us know your choices and preferences and our team at Hog Roast Dundee would be immensely proud to be able to cater for you. For more than ten years, the Hog Roast Dundee team has been providing local people and business with fantastic food for their events. We make sure that providing wonderful food at a great price for your guests is as simple as making a phone call. 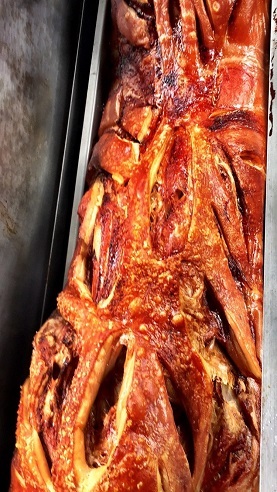 For a special event, you really cannot go wrong with a hog roast. It is the perfect celebration food. It looks great, smells wonderful and tastes marvellous. Practically everyone enjoys the succulent meat. A hog goes a long way, so it is the perfect way to feed a large crowd. Our professional chefs will arrive in advance and set up the hog roaster. You decide what time the food will be served and we time our arrival accordingly. All of the food is prepared fresh on site and laid out on serving tables along with high quality, but disposable, cutlery, plates and napkins. This makes the clean up fast and simple, one less thing for you to worry about. Once everyone has eaten, the rest of the hog is carved. This gives you the option to serve it as cold cuts later or keep it and use it for other meals. 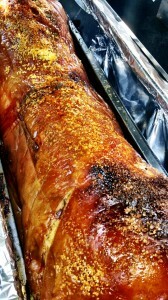 As well as beautiful hog roasts we also offer a range of other finger foods and salads. You can choose one of our set menus or mix and match platters from each menu. This approach means that everyone’s tastes can be catered for and that everyone goes home content, well fed and impressed. Whatever you need we can provide it, which is why we have so many different kinds of clients. Many of whom come back to us year after year. We offer a fantastic DIY – Hog Roast Hire service where we will even deliver a machine for you to cook your own hog. We will bring the hog and the gas so you are set to go! Our expert chef can even give you a few hints, tips and a brief tutorial upon delivery to ensure you are confident to start roasting. Afterwards we collect the machine, eagerly awaiting to hear how well it went! We often find many people who hire our machines want to do it time and time again, eventually event buy their own machine from us. Prices do vary, how much you spend is entirely up to you. It also depends on the length of time you would like to hire the machine for. 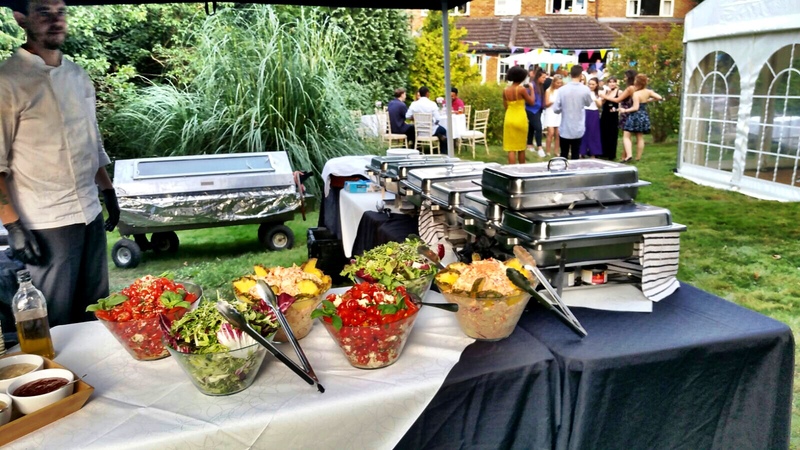 Our hog roast machine hire packages are very affordable, so give us a call today to choose your menu and get a quote.